MENOphase is a traditional herbal blend, designed to help relieve the symptoms associated with premenstrual syndrome, hormonal imbalance and the menopause. MENOphase contains a specially formulated blend of most of the well-known women's herbs, including red clover, pfaffia, wild yam and sage leaf. It also contains nutrients such as Siberian ginseng, soya isoflavones, vitamin B6 and zinc citrate which promote feeling of vitality and well-being in the body. 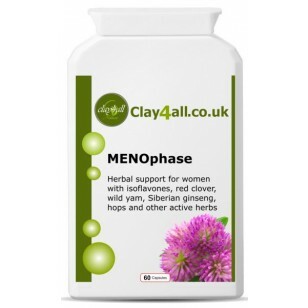 MENOphase is favourite amongst female customers, because it does not contain hormones, such as those found in Hormone Replacement Therapy (HRT) drugs. 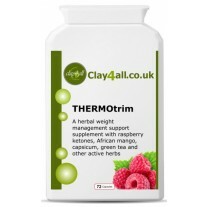 Hormonal imbalance and Menopausal symptoms. Difficult monthly cycles, premenstrual symptoms. Capsule: Hydroxypropyl Methylcellulose (HPMC) - 110mg Pfaffia Powder - 100mg Wild Yam 10:1 extract (equivalent to 500mg) - 50mg Sage Leaf 5:1 extract (equivalent to 200mg) - 40mg Alfalfa (Medicado sativa) Powder - 20mg Hops 4:1 extract (equivalent to 80mg) - 20mg Red Clover 40:1 extract, 8% Isoflavones (equivalent to 800mg) - 20mg Schizandra Berry 5:1 extract (equivalent to 100mg) - 20mg Siberian Ginseng Powder (Eleutherococcus senticosus) - 20mg Soya Isoflavones (40%) - 20mg Zinc Citrate Powder - 10mg Vitamin B6 (pyridoxine HCL) - 7mg Kelp (Ascophyllum nodosum) T 60 Powder - 5mg Atriplex Halimus 5:1 extract (equivalent to 12.5mg) - 2.5mg. 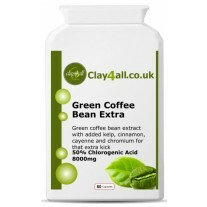 Take 1 capsule, 2 to 3 times per day, preferably with food. 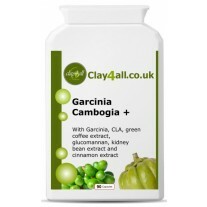 An initial higher intake of 2 capsules taken 2 to 3 times per day with food is recommended for the first 2 to 3 weeks.